ambiacus: named for the ‘Ambiyacu’, now commonly-referred to as ‘Ampiyacu’ River, type locality of the species. Described from the Río Ampiyacu, a small tributary draining into the main Amazon channel in Loreto Department, northeastern Peru, with additional records from the Yavarí (Javari), Napo, Nanay, and lower Ucayali drainage basins. All of these are Amazon tributaries, and C. ambiacus appears to occur in most or all affluents of the main Amazon channel between the ‘Três Fronteiras’ area where the borders of Brazil, Peru, and Colombia meet and the Río Ucayali, which enters the Amazon south of Iquitos, Peru. In the Napo basin it’s also been collected from the Pangayacu and Yasuni tributary systems, Ecuador. 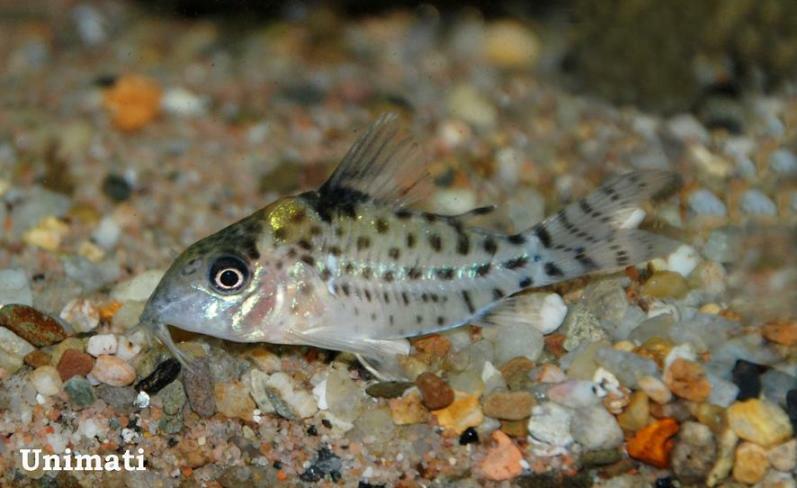 This species‘ name is commonly misapplied to a number of similar-looking fishes and it can be difficult to identify even if collection locality is known. In addition, colour pattern is variable and it’s not clear whether this occurs between, within, or both between and within populations. The snout is described as ‘elongate’. 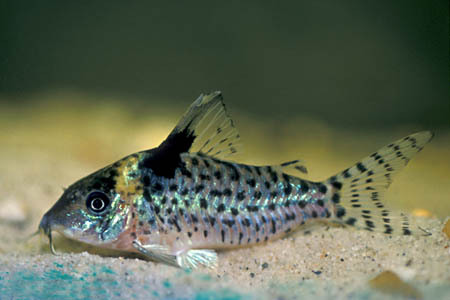 In his description of C. agassizii, Steindachner noted that the first three dorsal-fin rays are completely black while the remainder is whitish with rows of small, brownish spots. Some specimens had a larger brownish spot at the upper edge of the same fin. In addition, the ventral fins were described as unmarked and yellowish, the pelvic fins also yellowish with the first ray brownish, and the caudal-fin bluish-white with 3-5 regular rows of transverse brown spots. A blurred ‘yellowish’ stripe runs along the lateral line. Fish with variable colour patterns but more-or-less matching both these descriptions are widely-available in the aquarium trade, although the former seem far more common than the latter. The fact that Steindachner did not mention the presence of any black markings on the upper body in his description of C. agassizii may also be significant. On the fishes of the Ambiyacu River.